I decided to jump on the #MotivateMe bandwagon created by Janice at Fitness Cheerleader because it seemed like the perfect way to help not only me stay motivated to reach my big BQ goal in 2015, but also the perfect avenue to help motivate YOU too. My site was designed after all to inspire my little corner of the world. Janice talks about taking that first small step to achieving your bigger goals. I’ve talked about setting goals before and how to reach bigger goals by setting smaller goals first that lead up to the bigger one. If you had 30 seconds right now to move toward your current goal what would that involve? Maybe it’s the creating of the actual goa first! For me, it’s putting my goals into writing. Then she talks about accountability. I plan on recapping goals and training plans, and what my running weeks actually look like. I’m not the best at keeping up with food blogging so maybe just expect mile recaps from me. Everyone’s goal(s) are different. Yours might be food, fitness, school, or something totally different. The key is CONNECTING, encouraging one another, and staying accountable. My biggest goal for the year 2015 is to finally qualify for Boston. I tried last year, but if you’ve been following my blog for some time then you know I recently got married and had an amazing honeymoon and kind of forgot about training… I did however complete my third marathon in Savanna, Georgia but it wasn’t pretty. So here I am, all happily married with a hubby on board, and so ready to rock out my BIG goal. How about you? If you are excited and ready to tackle big goals for 2015 or just need some accountability to keep the holiday weight gain in-check, head on over to Fitness Cheerleader and sign on. I will keep my #MotivateMe posts happening every Monday. Every Monday share your fitness, nutrition plan etc by linking them up. All you will need is your post’s URL, and a photo you would like to attach. Posts that aren’t related will be deleted. 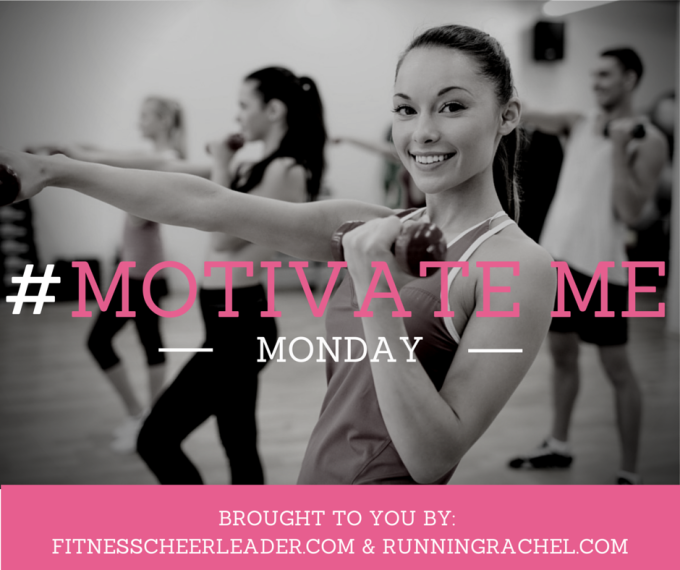 In your post, please mention that you’re participating in #MotivateMe Monday link up, and link back to the hosts, Janice – Fitness Cheerleader at FitnessCheerleader.com, & Running Rachel at RunningRachel.com. Read what the other linkers, are sharing. Visit at least 2 other bloggers’ posts and share some support by commenting and engaging with each other. The more you support, the more support you will get back. So let’s do this…One small step at a time. December 8 – Edition #3 – Hitting it Strong! December 29 – Edition #5 & 6 – End of Year! Mission Accomplished. If you’re planning on running a marathon, signed up for one, or training for one now then link-up with me to share the journey! Connecting is accountability! Plus, it’s a great way to meet new bloggers, encourage one another, and build up the running community. 1/6/15 Week One: #RnRNashville Bound! 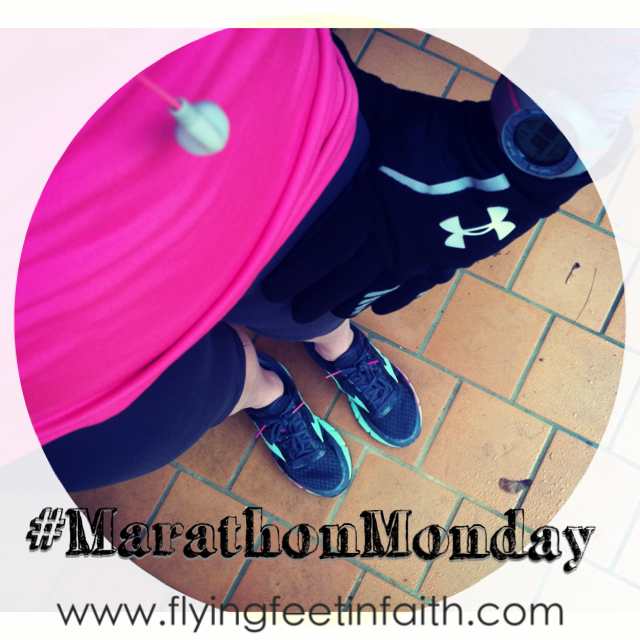 3/9/15 Week Ten: All I Have Time for Y’all! 3/16/15 Week Eleven: Monday and Tuesday Oops! 4/20/15 Week Sixteen: 5 Days and Martina McBride!